As solar costs have declined, interest in using WAP funds for low-income solar deployment has increased. A state seeking to integrate solar into WAP must obtain approval from the U.S. Department of Energy to include the technology in its program. This approval process includes demonstrating the effectiveness of solar in generating savings. Follow-Up Discussion: Using Federal Low-Income Energy Assistance Programs for Solar, January 25. This webinar is open to state and municipal officials only. The interactive webinar discussion is a follow-up to the two earlier webinars. Guest speakers from both webinars will participate in this follow-up discussion. Participants will be invited to respond to the earlier webinars, share their ideas and experiences, and ask questions. Please see our calendar for additional information and registration links. This entry was posted in Nebraska / Midwest News, NewsBlog, Solar for Lower-Income Households and tagged CESA's Sustainable Solar Education Project, Clean Energy States Alliance (CESA), Low Income Home Energy Assistance Program (LIHEAP), low-income energy assistance programs, low-income solar consumers, Nebraska Low Income Home Energy Assistance Program (LIHEAP), Nebraska Low Income Weatherization Assistance Program on December 18, 2017 by Helen Deffenbacher. Clean Energy States Alliance has just published a new guide, Bringing the Benefits of Solar Energy to Low-Income Consumers, which outlines the obstacles that low-income households face in accessing solar power. It provides a detailed overview of strategies that policymakers and government agencies can use to encourage low-income solar adoption. Watch the companion webinar this Thursday. 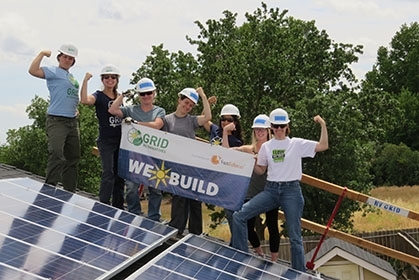 This entry was posted in Nebraska / Midwest News, NewsBlog, Solar for Lower-Income Households and tagged CESA Guides & Webinars, Clean Energy States Alliance (CESA), increasing access to solar energy for all, Nebraskans for Solar on May 16, 2017 by Helen Deffenbacher. 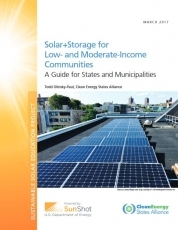 This guide seeks to provide state and municipal officials with information to develop effective solar and battery storage (solar+storage) policies and programs that benefit low- and moderate-income (LMI) communities. It explores a range of policy approaches that have been successfully employed and provides program examples from states that have made LMI access to these technologies a priority. Download the report. Author and CESA Projects Director Todd Olinsky-Paul discussed the report in a recent webinar. Watch it here. This entry was posted in NewsBlog, Research, Solar for Lower-Income Households and tagged : Energy Storage Technology Advancement Partnership, Adaptation & the Role of States, Clean Energy States Alliance (CESA), Nebraskans for Solar, Resilient Power, Sustainable Solar Education Project on March 17, 2017 by Helen Deffenbacher. States and municipalities can play an important role in spurring local lending for residential rooftop PV installations. To help inform state and municipal officials about best practices and the various approaches to opening up the lending marketplace for residential solar, the Clean Energy States Alliance (CESA) has published a guide titled Publicly Supported Solar Loan Programs: A Guide for States and Municipalities. The guide, authored by Travis Lowder of the National Renewable Energy Laboratory (NREL), describes general factors state and municipal governments should consider when assessing whether to launch a public solar loan program, explains various loan program design elements, and offers several case studies. In a webinar on Thursday, January 12, from 12 to 1 p.m. CST, Travis Lowder will provide an overview of the new program guide. There will be time to address questions from the audience. This webinar is free but registration is required. Register here. This entry was posted in Financing, NewsBlog and tagged Clean Energy States Alliance (CESA), National Renewable Energy Laboratory (NREL), Nebraskans for Solar, solar energy financing, solar loan programs, Travis Lowder on January 4, 2017 by Helen Deffenbacher. States have an increasingly important opportunity to present the public with sound, unbiased, user-friendly information on solar energy. To help states play this role, the Clean Energy States Alliance (CESA) has produced Solar Information for Consumers: A Guide for States. The guide explains why states should provide consumer information on solar, describes the types of information that can be useful, and points out existing educational efforts by states and other entities that provide models and useful resource information. Although the focus of the guide is on educational efforts by states, its messages and approaches can apply to municipalities, counties, and municipal utilities that want to provide consumers with information on solar. In a webinar on Thursday, November 17, CESA’s Executive Director Warren Leon will provide an overview of the new program guide. There will be time to address questions from the audience. This publication is one in a series of guides being produced by CESA as part of its Sustainable Solar Education Project. This entry was posted in NewsBlog, Solar Energy Education and tagged Clean Energy States Alliance (CESA), Nebraskans for Solar, solar energy education, Solar Information for Consumers, Sustainable Solar Education Project on November 11, 2016 by Helen Deffenbacher. Clean Energy Group and the Clean Energy States Alliance, with support from Bright Power, Sandia National Laboratories, the U.S. Department of Energy Office of Electricity, and the Barr Foundation, have drafted a series of energy storage procurement guidance documents for municipalities. The materials are designed to give specific examples of the elements that should be included in a solicitation for the procurement and installation of a battery energy storage project that is designed to provide backup power during outages. The document is a revised version of material previously presented in a webinar on the topic of energy storage procurement. The webinar, “Procurement Guidance for Energy Storage Projects: Help with RFIs, RFQs and RFPs,” is available here. The Energy Storage Technology Advancement Partnership (ESTAP) produced the webinar. Learn more about ESTAP here. This entry was posted in Energy Storage and tagged Clean Energy Group, Clean Energy States Alliance (CESA), Energy Storage Technology Advancement Partnership (ESTAP), Nebraskans for Solar on June 30, 2016 by Helen Deffenbacher. In August 2015, the IRS ruled that a particular owner of PV panels in an offsite, community-shared solar array is eligible for the residential tax credit under section 25D of the U.S. tax code. While the IRS’s ruling is only legally applicable to the individual taxpayer in question—a solar panel owner in Boardman Hill Solar Farm, a member-managed 150-kW off-site solar array in Vermont—the ruling may open up project opportunities for direct ownership of community-shared solar systems by multiple individuals. On September 22nd, from 12 to 1 PM CDT, the Clean Energy States Alliance (CESA) is hosting a webinar with guest speakers from law firm Foley Hoag, LLP to discuss the recent IRS ruling and its implications for community-shared solar nationwide. More information and resources related to this ruling are available here. 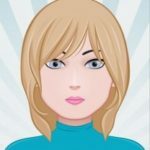 This entry was posted in Community-Scale Solar, NewsBlog and tagged Clean Energy States Alliance (CESA), community-shared solar, federal residential tax credit eligibility, Nebraskans for Solar on September 3, 2015 by Helen Deffenbacher. Clean Energy Group report provides analysis of how energy storage is valued in U.S. electricity markets. Montpelier, VT — Key issues surrounding the deployment of energy storage and its participation in U.S. electricity markets are examined in a new report by Clean Energy Group, Energy Storage and Electricity Markets: The value of storage to the power system and the importance of electricity markets in energy storage economics. The report analyzes electricity markets where structures have been implemented to compensate energy storage services adequately enough to encourage increased deployment. The report also details energy storage opportunities for cost savings in regions with high utility demand charges or that employ time-of-use rates, which encourage less consumption during peak periods. These and other potential value streams are discussed along with successes and limitations in existing markets. From renewable generation smoothing to demand charge reduction, energy storage technologies have the capacity to benefit each segment of the power system. Energy storage, primarily in the form of batteries, can deliver value not just to utilities and grid operators but to commercial and residential consumers alike. Unfortunately, the full value of energy storage cannot be realized under current market conditions, which can make it a challenge to find financing for these systems. However, markets are beginning to emerge that provide viable revenue streams for battery storage and its unique attributes and benefits to the grid and to electricity customers. The full report is available on Clean Energy Group’s website here. A free webinar focused on this report will be hosted by Clean Energy Group and the Clean Energy States Alliance on Thursday, August 27 from 12-1:30 pm Central Time to provide more detail on the report’s key findings. For more information and to register, please visit http://www.cesa.org/webinars/webinar-electricity-markets-and-the-economics-of-energy-storage/view/2015-08-27. This entry was posted in Energy Storage, NewsBlog and tagged Clean Energy Group, Clean Energy States Alliance (CESA), energy storage technology, Intelligent Generation, Nebraskans for Solar, Resilient Power Project on August 13, 2015 by Helen Deffenbacher. 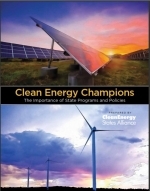 Clean Energy Champions: The Importance of State Programs and Policies, by the Clean Energy States Alliance provides the first-ever comprehensive look at the ways in which states are advancing clean energy and suggests how to further encourage growth. The report describes the many important ways that states across the nation are supporting clean energy generation and markets. It highlights 31 case studies from 22 states, covering a variety of state programs such as renewable portfolio standards, rebates for purchasing solar panels, and wind energy tax credits, as well as lesser known ones to build necessary infrastructure, grow small businesses, and protect consumers. This entry was posted in NewsBlog and tagged Clean Energy States Alliance (CESA), Nebraskans for Solar, Warren Leon - CESA Executive Director on June 23, 2015 by Helen Deffenbacher.